Are toasts old-fashioned? Maybe, but that doesn't mean they're dead! 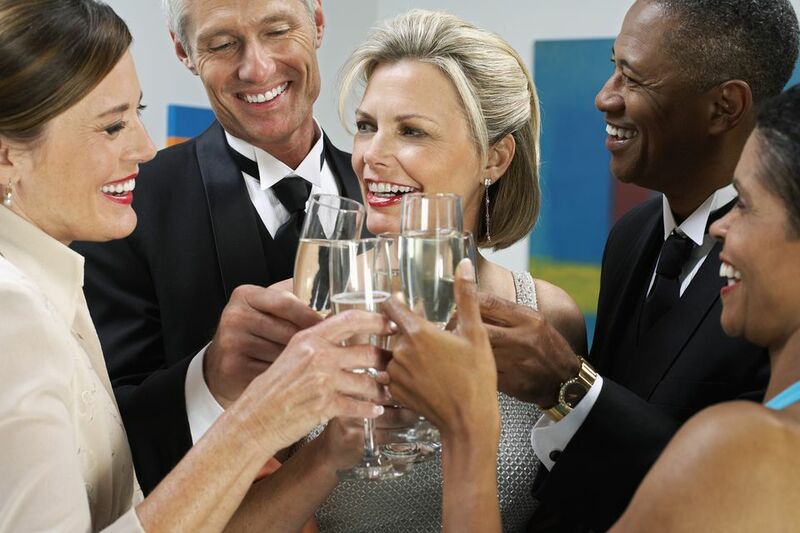 Celebrating any occasion is made just a little more memorable when there is a fun, funny or meaningful toast involved. Toasts are short and they are easy to remember. It's good to have at least one all-purpose toast in your memory bank to use at the perfect time. These are some of my favorite toasts that will help you out when you're at a loss for words or are in need of a catchy phrase to impress. This is the perfect toast for those big moments in life. Celebrating the boss's retirement? Maybe your friend's college graduation? This toast wishes them all the best in their pursuit of a happy, healthy and prosperous life. And have all you like as long as you live." Save this toast for those lifelong friendships to show just how much you care. It's particularly fitting for going away parties or reunions when the sentiment will mean the most. When I drink to you, old friend!" You have to appreciate the sass of this rhyme! Keep this one in mind for your absolute best friends who have a great sense of humor. It could offend people who are a little sensitive. It goes great with a round of shots. Friends may we always be! Up yours! Here's to me!" Let out your inner poet with this 'ship' lyric. It is a perfect choice for dinner parties with friends and anytime you just want to say, "Hey, I love you guys!" in a more poetic way. And may they always be." Your buddy just walked in with a bottle of 'the good stuff' and it is time show off your appreciation! This toast is easy to remember so you can pop it off once that bottle's cracked. Thank God there's no more of us!" This toast can be interpreted so many ways. Sure, it ends with that sweet, endearing sentiment, but that first line reminds me of a frat party or spring break. It's fun, that's for sure! And please who we kiss." Sometimes you just have to pull out an old-fashioned verse! This one is ideal for any special event or for those times when you simply feel like getting a little poetic. Show off your poetic skills and impress your friends with this fun rhyme. It's better than saying, "Drink up!" The sentiment of this toast is ideal for almost any occasion. Use it to wish someone a happy life or to celebrate overcoming a difficult time. It is a fantastic way to say goodbye (or see you later) as people move away or take on the next big thing. "May the saddest day of your future be no worse than the happiest day of your past." Finally, one of my favorites. These are words of wisdom that are perfect for any of life's big milestones -- weddings, graduations, a job change, or a move across the country. They are words that all of us can live by and relate to and that makes a truly great toast! And the insight to know when you have gone too far."